1,494 cc four-stroke, Rotax® with three cylinders in-line and four valves per cylinder (GTI SE 130 / 155 models): This naturally aspirated Rotax engine has been tested and proven to be incredibly reliable and fuelefficient for more than a decade. 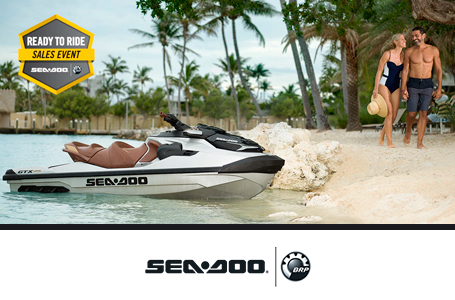 Plus, the Rotax® 1503 NA is the most powerful, naturally aspirated Rotax® engine on a Sea-Doo offering instant acceleration for instant fun. 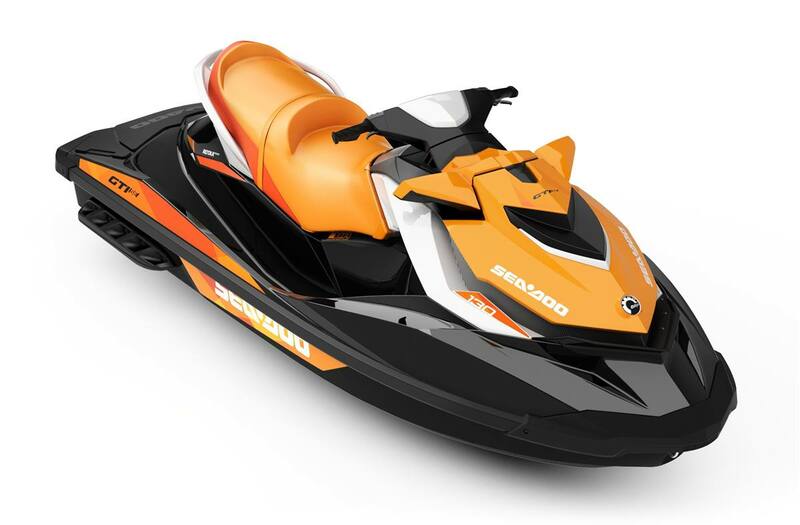 D-Sea-Bel™ system: Combines a series of resonators and vibrationabsorbing components to make Sea-Doo® watercraft some of the quietest on the water. ECO® mode: This iTC™ function automatically determines the most economical power delivery and sets the optimal RPM for greatest fuel economy. Interactive Multifunction Digital Information Center: Fuel level, Tachometer, Speedometer, Touring mode, Sport mode, ECO® mode, Hour meter, Compass, F-N-R indicator and more. iBR® (Intelligent Brake & Reverse) system: First and only true brake on a watercraft recognized by the U.S. Coast Guard for improving boating safety since 2009. Now in its 3rd generation, the intuitive and improved iBR® allows you to stop close to 160 feet sooner1 for greater peace of mind. All with the squeeze of a lever. And with its electronic reverse, it gives you a level of maneuverability that makes docking easier. Additional Gauge Functions: VTS™, Fuel consumption instant & average, Clock. Touring seat: Ergonomically designed for comfort and great looks providing ultra-plush seating for three – permits rear-facing spotter for watersports. Because of our ongoing commitment to product quality and innovation, BRP reserves the right at anytime to discontinue or change specifications, price, design, features, models or equipment without incurring any obligation. ¹ Based on BRP internal testing.